Bye long queues at the cash register. Hello more freedom of choice. With the MynOber Order kiosk, your guests can order and pay for themselves in a convenient and fun way via a large touchscreen. This means they do not have to wait long and you lower the pressure at the cash register. The user-friendly order kiosk offers extra service for your guests, because they choose the ordering and payment method they like most: at the cash register, at the order kiosk or via the handy Order app. The convenience of the Order kiosk or Order app is that your guests do not have to queue, but can create a menu directly and at their own pace. Once payment via the order kiosk has been completed, your guest will receive a receipt with name and / or order number. At the same time, the order is automatically sent to the kitchen. On a screen at the physical cash register your guest will then see the status of the order. Because your guests through the handy order kiosk place their order themselves, you reduce the pressure at the physical cash register. Especially at peak times this is a relief for both guests and staff. This allows you to process more orders and increase your turnover. The MynOber Order kiosk is directly linked to your own cash register system. As a result, besides the order kiosk you do not have to invest in extra equipment. MynOber makes it very affordable for you. Are you curious about the payback period of the order kiosk? We can precisely calculate this for you. Do you want the possibilities, but not the order kiosk with a pin terminal, receipt printer and metal housing? MynOber is also great to use as an app on a tablet. For example, you can also use it in conference rooms. The MynOber Order kiosk can be perfectly combined with a physical cash register, the Order website and the Order app. 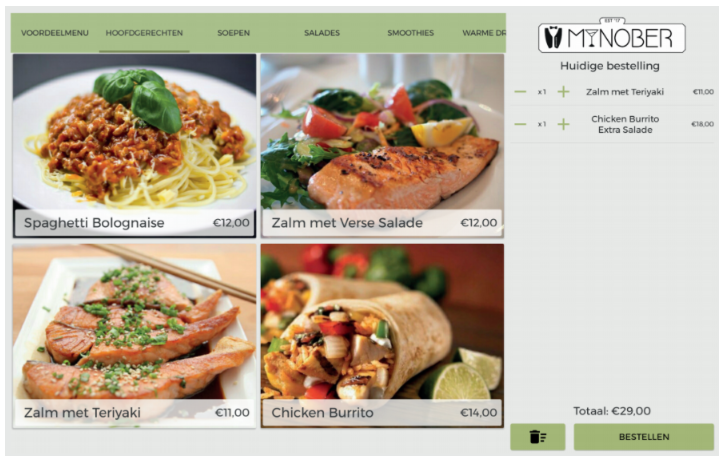 With this, you give your guests various methods to order and pay in an innovative and user-friendly way in your restaurant, lunchroom, bowling or cafeteria. 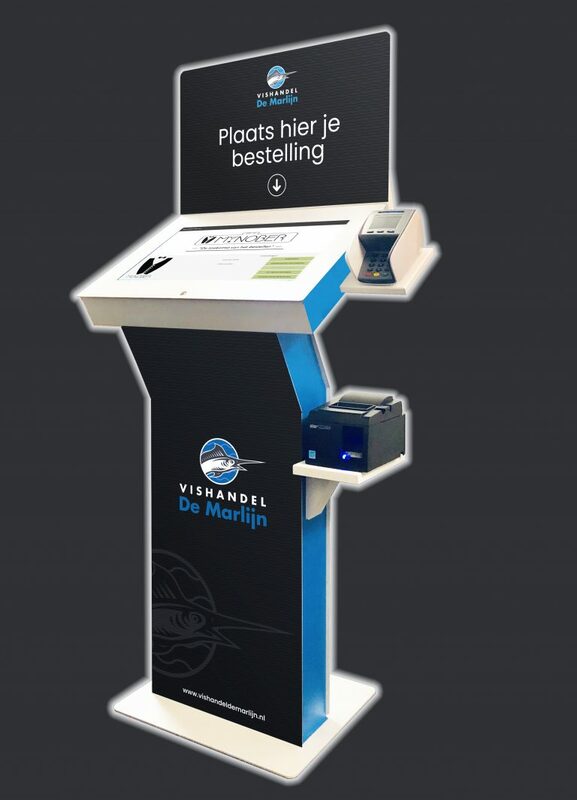 Would you like to know more about the possibilities of the order kiosk? Submit your details via the form below or contact us without any obligation by phone at +31 (0) 85 - 888 07 56 or by e-mail info@mynober.nl for a free demo or a personal tailor-made consultation.